You may wish to know a little more about me apart from the fact that I am a Tauranga Massage Therapist specialising in women’s health and massage. Before becoming a Massage Therapist in 2000, I was a Registered Comprehensive Nurse, which served as an excellent foundation for my knowledge of anatomy and physiology and subsequent studies for a Diploma in Massage and related fields. I have also been trained in Aromatherapy Massage, Reflexology, Polarity Therapy, Sacred Stone Massage (hot stone), Reiki, Indian Head Massage, Vichy Spa Massage and Body Wraps, Introduction to Naturopathy and Bach Flowers. I like to attend massage and holistic health workshops for continuing education and keep up to date with the latest research about all kinds of health and wellness issues with a special interest in mind-body neuroscience and psychology. My work interests include massage, holistic coaching, healing and meditation, supporting young people, the older adult, the recently bereaved and those with chronic pain and tension. I especially love my job when a client completely relaxes and floats out the door with a fresh perspective on the world. The skills I have to offer you, are my knowledge of anatomy and physiology, training in various modalities of massage previously mentioned, as well the ability to truly focus on each client and bring my intuitive skills into play by offering the kind of treatment the client most needs on any particular day. For recreation, I enjoy: walking, gardening, jogging, gym, meditation, Pilates, Sumba, reading, painting and photography. I believe in finding balance in each area of life: personal and spiritual wellbeing, family, health and fitness, work and play, finances, home and community, the external environment and the internal. I look forward to meeting with you and assisting you, on your journey to good health and a comfortable, peaceful and happy life. If you would like to book one of my many treatments from my therapy menu or have a question about something, get in touch today. 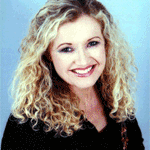 If you are stressed, tired and aching, Diane specialises in Relaxation Massage for ladies. This is a relaxing healing experience which can include holistic healing. The massage can be as gentle or as firm as you like. 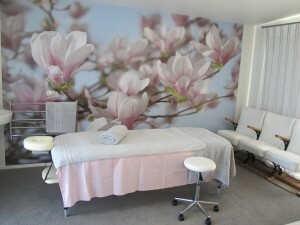 You can also add an aromatherapy facial to your appointment or even a Half Dayspa Experience. Take a look at the Menu page or phone for more information. Bach Flowers for emotional support and Homeobotanical creams or Aromatherapy Oils for skincare are also available. Make an appointment soon and feel the benefits of a truly healing experience.